For the past several years, Jordan Shapiro has been busy writing and speaking about games and digital play. He’s a senior fellow for the Joan Ganz Cooney Center at Sesame Workshop, a think tank dedicated to researching how children interact with media, and a nonresident fellow at the Center for Universal Education, which is part of the Brookings Institution. He teaches at Temple University, in Philadelphia, where he lives. 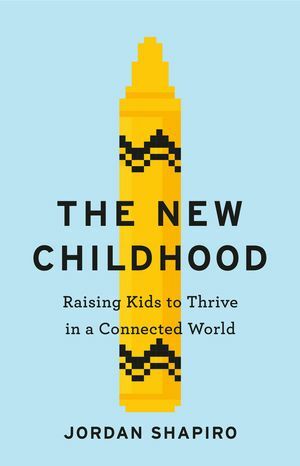 I caught up with Shapiro recently to discuss his new book, The New Childhood: Raising Kids to Thrive in a Connected World, which examines the importance of digital play, as well as ideas for teaching and parenting kids. 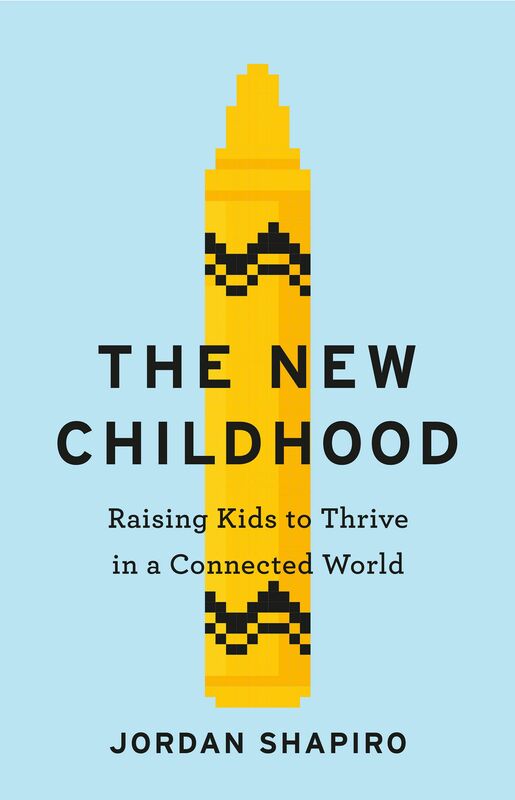 FARBER: In your book, you often use the phrase digital play to describe ways children can learn today. How do you define digital play? SHAPIRO: I switched my language from being games-specific to digital play a few years ago. Part of the reason was that I saw a lot of resistance [from schools] to games. But there isn’t as much resistance to digital play. I also changed my language because of what I observed watching kids use Scratch—or a lot of what I see in Minecraft. These are not really what you would call games. Scratch and Minecraft don’t have the same kind of rules as games, but kids are still playing, and they are still doing something digital. In my mind, digital play became a broad catchall that added playful learning and creativity to gaming. 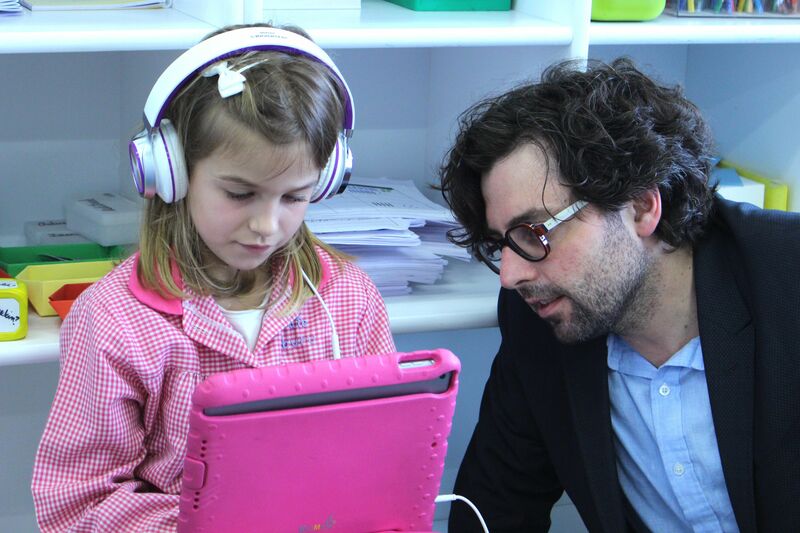 FARBER: Where do you see digital play fitting in today’s classrooms? SHAPIRO: Kids need the chance to play with each other and to play by themselves in digital playgrounds. The only way kids are going to learn to have the necessary social-emotional skills in a way that makes sense and that is applicable to that tool set is to play with that tool set. When you look at the benefits of digital play, the resistance schools have doesn’t really make any sense. While schools have very little resistance to coding, there is resistance to game-based learning. There is also very little resistance to 3D printing or maker labs, which are digital play. That doesn’t make sense to me—if you think it’s great for kids to develop skills in a digital world, then that is true for games and for digital creation. FARBER: How can teachers encourage students to perceive these technologies as tools for self-expression? SHAPIRO: All self-expression is technological. All self-expression is done with tools, whether that is written words or spoken words or numbers or blocks or gears. Most of our human creations allow us to express a vision of the world, the things we care about. Ask how students can use the tools to make other things. For instance, students can build a game that tells a story that makes a point. If you look at the games on the Games for Change website, many of them are basically essays that use games to make an argument: Papers, Please is an essay on how to think about bureaucracy. Why not encourage kids to make those types of games as well as writing essays? FARBER: I grew up with Sesame Street, and PBS has championed the notion of co-viewing, which encouraged parents to help kids make connections from TV to the real world. Where do you see co-viewing today? SHAPIRO: Yes, the co-viewing language came out of Sesame Workshop. Now the phrase is joint media engagement, which also includes interactive media. [Co-viewing] is key. The more that you sit with your kids and help them make sense of the media they’re exposed to, the more that becomes a meaningful engagement with media. When parents and children sit together and discuss what they see, there is learning happening. Kids are learning about how we think about the world. So when people ask me if my kids play violent video games, I tell them that they can play whatever they want. I’m OK with that because for the first 10 years of their lives, I had a constant conversation going on about real violence and screen violence. When they first played Fortnite, we had a long conversation about it at the dinner table. Because they had that conversation, I know they can make sense of it, and how to integrate that into an ethical view of the world. That’s what parenting is, but for some reason we don’t seem to know what we are doing when it comes to the screen. FARBER: Why do you think there’s so much talk lately about screen time? SHAPIRO: My kids get their homework on Google Classroom, but then they also get a lot of anti-screen rhetoric. Kids get confused messages at school and at home. Parents say it’s a terrible thing to use your device, and then we are all using our devices just as often. Teachers should think about how we can redesign schools so we can have a healthy relationship with these devices—teach students to think and build the world using these devices, and how to interact with the world in intelligent, responsible, ethical ways. That’s what schools do, that’s what we teach students to do with books, and with words and numbers. We teach how to live in a life with other people. If schools were doing that, we might see less vilifying of devices at home. If schools got more serious about integrating devices into the routine of the school day, then you’d start to see kids integrate them better into their own social routines.